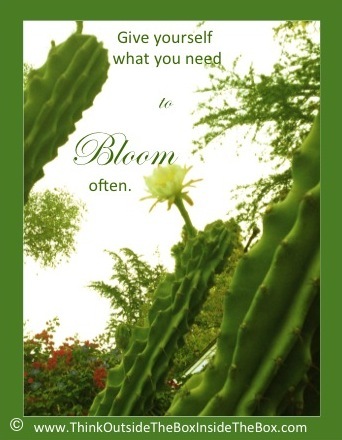 Knowing when, how, under what circumstances and in the presence of whom you bloom is vital. You want to be able to bloom as much as possible! Blooming is when you light up. Blooming is when you are your most generous and kind. Blooming is your most inspired work. Blooming is your finest hour. Blooming is your best self. Foster your ability to bloom. Give yourself what you need. Surround yourself with what and who inspires you. Feed yourself beauty, creativity, proper nutrition. Give yourself permission. Allow yourself to bloom often.